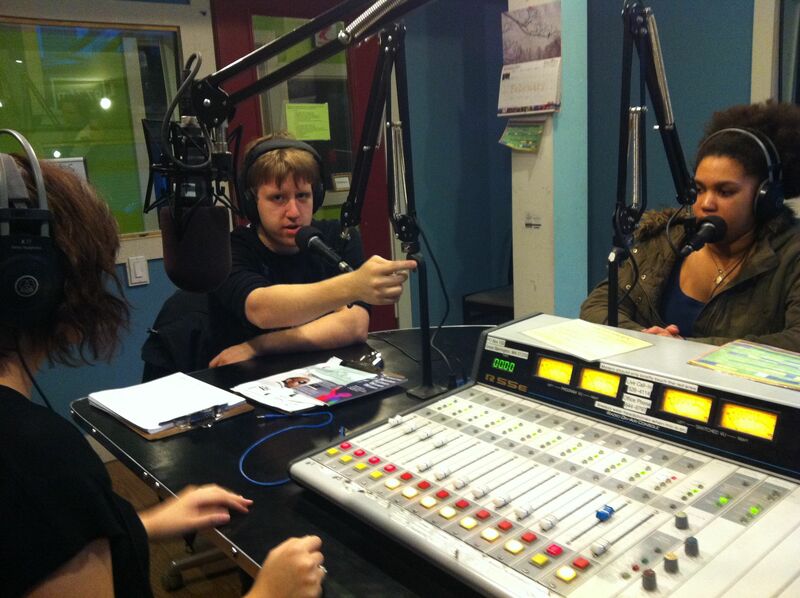 Coming to you live from the studios of WBCR-LP, 97.7 FM, Great Barrington…. 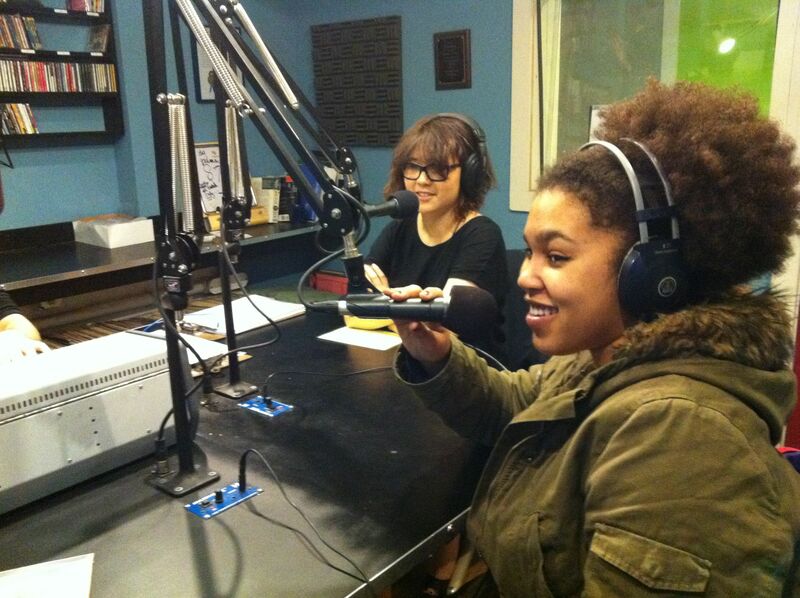 This spring, students from Bard College at Simon’s Rock and Monument Mountain Regional High School are getting ready to go on the air with a series of Citizen Journalism Project news shows, broadcasting stories of local, national and even international interest from the intimate studios of WBCR-LP in Great Barrington MA. In preparation, students in my digital media studies class have been listening to great radio from NPR affiliates, Pacifica and other serious news radio outlets, as well as to homegrown shows on 97.7 FM, WBCR-LP. We’re not sure yet how polished our programs are going to sound this spring, but in this first go-round, it’s really all about learning the process, from conceptualizing and pitching interesting stories, to interviewing and structuring the script, to recording, editing and putting it all together live on the air. But also, what could be more important for young people than to hone their civic engagement skills through becoming not just consumers, but also producers of informational media on topics that really matter? In keeping with the state of the profession of journalism, my class will also be working on student-produced video and online print stories, recognizing that in today’s media environment, it’s essential to be able to move fluidly across a variety of platforms. When I came up with the Citizen Journalism Project initiative, combining my service on the WBCR-LP Board with my media studies teaching and my interest in getting Simon’s Rock students out into the local community and collaborating productively with their peers, it was one of those moments when you get into the flow and know the universe is with you. Everyone I talked to about the idea loved it, from students to school administrators and the WBCR-LP programming committee staff, all volunteer, who are contributing their time and talents to getting the students trained and on the air in just a few short weeks. When internet radio burst on to the media scene a few years back, some predicted the end of old-fashioned broadcast radio. But there’s still something very special about being part of a community radio station grounded in the heart of a particular dot on the planet, where the people who live there are the ones running the board, conceiving and hosting the shows, and pumping out the music–not for money, but for the sheer joy of it. When you drive through Great Barrington and tune in to 97.7 FM, it’s your friends and neighbors you’ll be hearing on the radio. And now, some cheerful, intelligent and very media-savvy students, too! If you miss the live broadcasts, or you live far away, we’ll be archiving our shows at WBCR-LP later this spring. Come by and check us out! New Clear Vision | R.O.I. from Another P.O.V.